Leaving the military for the airlines requires careful planning. So you've decided it's time to hang up the spurs. Perhaps you're tired of being deployed, are fed up with the service or simply feel that you've accomplished all that you wanted to and now it's time to move on. Or maybe you've got your 20 years in, don't want to climb the leadership ladder beyond the squadron or wing level and are looking for your next gig but want to keep flying. Well you're in great company. As most military pilots eventually realize, the longer you stay in, the less you'll fly. And if flying is your bag and going to work for USAA or your father-in-law doesn't appeal to you, you're in luck: the airlines are looking for you. I mean they're really looking for guys or gals just like you. The airlines really really like military aviators and over the years have given them hiring preference. And even though this has always chafed pilots with civilian backgrounds, there are several reasons for this. One of the biggest is that you are a known entity. That is, airlines know that your flight training was comprehensive and rigorous. They also know that you fit well within a hierarchy and play well with others, especially if you made it to retirement. Lastly, they know that if you are a retiree, you are getting a monthly check from Uncle Sam for the rest of your life. This, they believe, will ameliorate future pay and retirement demands. For you civilian guys firing up your keyboards to flame me, please don't take any of this personally. I'm just the messenger. Many of the absolute best pilots I've ever flown with have had civilian backgrounds and some of the biggest horse's rear ends have been military bred. 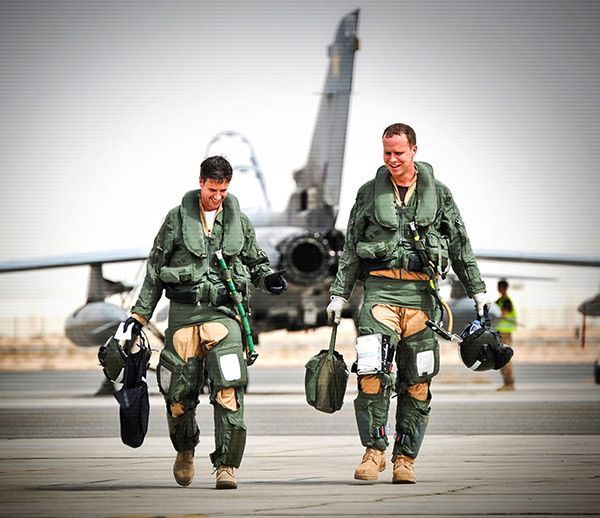 But from a management point of view, military pilots are known and wanted. I'm going to assume that you've saved some money and have thought about how you'll pay the bills in the interim before leaving the service, but there are other things you should consider. Get an FAA Class I medical. That's the medical certificate you'll need to be an airline pilot. Some airlines only require a Class II for copilots, but you'll eventually need a Class I, so get it now to see if there are any problems. I'm aware that you get an annual physical from the flight doc, but while the FAA medical requirements are in many ways less restrictive than the military, you want to make sure any problems are uncovered and dealt with. If you fly under a military medical waiver, you'll probably need to get an FAA waiver for the same issue. That can take a while so start early. The next thing to think about is your FAA ticket or license. If you don't have one, you'll need to get one. Luckily, the FAA has made this a little easier for military pilots exiting the service. If you are currently qualified in an aircraft, you need only take a written test to be issued a commercial instrument license. And if you are currently flying a military version of a civilian airliner such as the C-40 (737) you can even get a civilian type rating in that aircraft. Another license you will need is the ATP or "airline transport pilot" rating. This you'll have to purchase on your own unless your prospective employer offers one to you in their training program. There are many programs around the country offering these in light twin aircraft. It will take about 5 days, 10 or so flight hours and involve a checkride with an FAA examiner or designee. A cursory internet search showed prices at about $5K. Don't forget transportation and hotels costs. If you still want to keep your hand in military flying, then signing on with the Guard or Reserves may help you to do that while offering a little extra income and a fallback should the unthinkable happen and you get furloughed. This was the route I took. There are a few things to consider here as well. First, if you have a regular commission you might be asked if you want to resign your commission or take a reserve commission. If you're sure that you'll never again set foot on base then go ahead and resign. But my recommendation is to accept a reserve commission so that if you change your mind and try to get a Guard or Reserve job, you'll already have the reserve commission. Without that, the unit you hope to sign on to will have to offer you one, and it might be at a lower grade than the one you now have. My second bit of advice if you join the guard or reserve is to make sure to avoid what I call the "devil's triangle" of combined military and airline duty. That happens when your home, airline domicile and reserve duty station are in different places. It will be nearly impossible to make this work unless you're single. And if you aren't single, this is an excellent method to become single. Trust me, I've never seen it work well. I was lucky enough to have my airline job, reserve base and home all within an hour drive and I recommend you attempt to do this as well. Lastly, don't forget your priorities. Working effectively for three masters may leave none of them very happy with you. The airline has to give you time off for military reserve duty by law, but my feeling is that abusing this to avoid weekend or holiday airline flying is dirty pool. And just ignore all the cajoling you'll get from your reserve or guard unit about your "career". Your career is now being an airline pilot and the military is something you occasionally do because you're a patriot and enjoy hanging with your squadron mates. Military pilots leaving the service and hoping to fly for an airline will find that while some things about civilian aviation are very familiar to them, other aspects are bewildering and new. For pilots who flew a crew aircraft, the flying will be pretty close to what you've been doing already but without the extra mission qualifications such as airdrop or air refueling. Pilots who flew tactical aircraft may have a few new things to learn in a crew aircraft, but the overall pace of the action will be slower than you've been used to. And even though we know you can do it all day long with your eyes closed, you're not expected to both fly and talk on the radios at the same time. One huge difference between military and civilian flying is that in the civilian world, you are being hired to fly airplanes and to only fly airplanes. Your ability to write a shining OPR or awards citation that would water the general's eyes is just not that important. And while it is certainly fine to bring those additional duties up in an interview, remember that it is your flying and leadership skills as a pilot that are most important. Interviewers are going to want to know how well you get along with other pilots in both routine and also stressful flying situations because no one wants to fly with a d*ck. For you single seat tactical guys, emphasizing your leadership and followership skills in a formation setting will help to fill this square. Being a team player, a skilled aviator, and demonstrating that you are not too full of yourself are the keys to getting hired. Making the decision to bail out of the military or transitioning to civilian life after retiring is a huge change. Many people you encounter may have little understanding of the lifestyle that you spent the last several decades immersed in. Your bosses won't be wearing birds on their shoulders (and it can be tough to figure out who they are) but you should still accord them all the respect you did your commander. It will, though, be a new adventure for you, and you're good at those. Good luck! If you have any questions regarding the transition from military to civilian aviation, leave me a note in the comments. I'm here for you, Mav! Update: Part 3, advice to non-pilots wishing to start an aviation career is here.